I will never forget the rush that swept through me on my first night at the Wells Fargo Center while looking into a sea of “NO TPP” signs that quickly became the banner of resistance to the oligarchy that surrounded us on the convention floor. I panned the 180 degrees and looked at the thousands of Democratic insiders, wealthy donors, and lobbyists that watched us chant “No T-P-P!” from their seats and VIP boxes above us. We were not supposed to be here – this was not our party, yet, we were here. Thank you Bernie Sanders! The Democratic Party is still loyal to their corporate donors, but we silenced the pro-TPP voices at the Democratic convention. 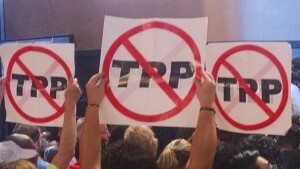 Despite the fact that the convention hall was filled with “NO TPP” signs, neither President Obama (who supports the TPP), or Democratic nominee Clinton (who, as of today, opposes the TPP) mentioned the words, “TPP” in their prime-time speeches before the assembly of delegates and party leaders at the Democratic National Convention in Philadelphia last week. Speaking in favor of the TPP would have caused a loud, “boo” from delegates. Speaking against the TPP would have caused the wealthy corporate donors hiding in VIP boxes to tightly grip their wallets. 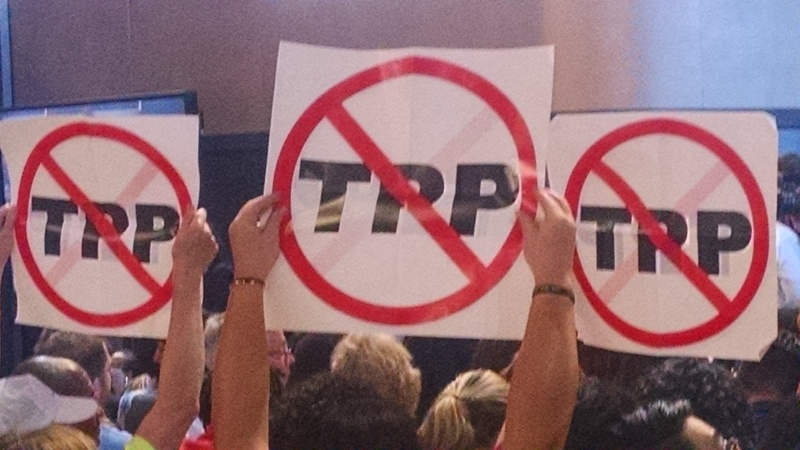 The speakers, just like the Democratic platform, remained silent on the TPP issue. The real victory is how we used an interruption strategy to help shape the narrative on the convention floor despite the fact that it was a highly orchestrated, four-day charade with endless anti-Trump speeches, very few votes, and zero meaningful discussions or debates. 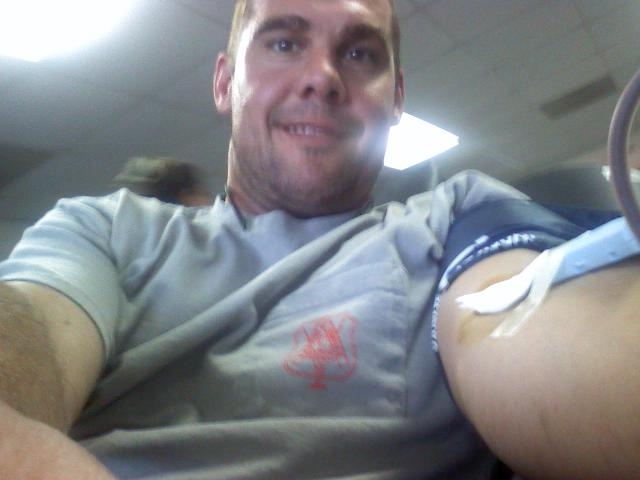 and her brother, Mark Gaspar, donated blood at the Carpenters Local 195 union hall in Ottawa, Illinois yesterday. 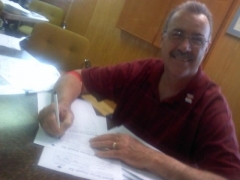 For the last eight years, retired Local 195 member/organizer, Fred Nimke, has been coordinating a blood drive at the Carpenters hall. Nimke said that this was the 49th blood drive with the American Red Cross and that they have collected over 1200 pints of blood plus today’s collection of at least 48 pints. 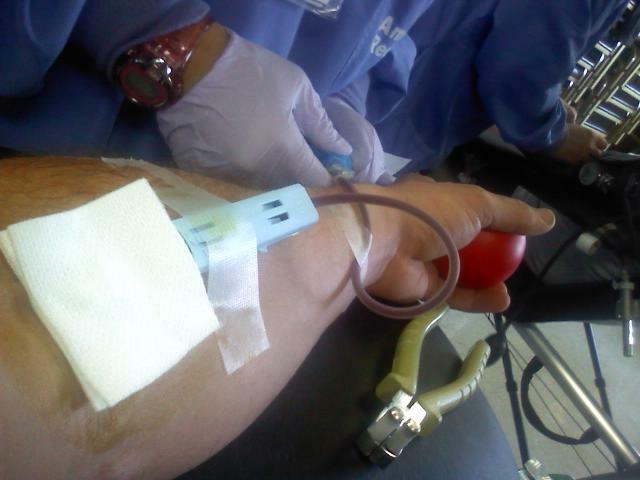 The blood drive was started after the 9-11 tragedy. “We wanted to do something and the soonest the Red Cross could schedule a drive was February 2002,” said Nimke. Since then, Fred has been actively promoting the blood drives and showing up six times a year to coordinate the effort for Illinois Valley residents. According to Nimke, each pint can save up to three lives; “potentially we have saved over to 3,600 lives,” he added. 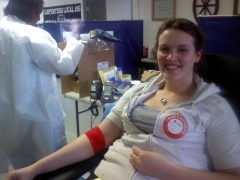 The next blood drive in the Illinois Valley will be Tuesday, June 1st from 12:00 – 5:00 p.m. at Carpenters Hall Local 195 (1001 Boyce Memorial Drive, Ottawa, IL). All donors are welcome. Appointments are preferred (call 815.257.5433), but not necessary.